Like all of Odyssey's Designer DJ Series of cases, the FR1200BK turntable case offers a unique twist in design for DJs who want to make a statement that screams louder than the cool music they plan on spinning. 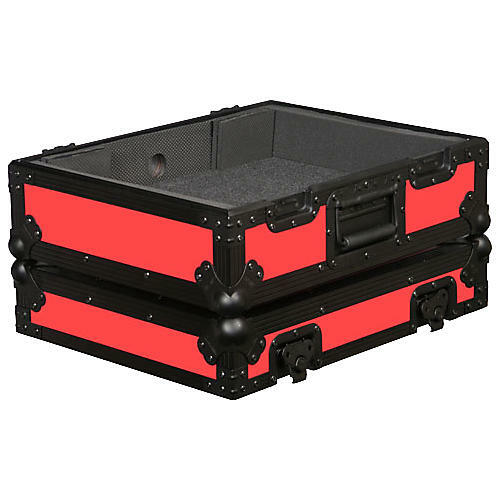 Built tough to the exact standards and product protection as Odyssey's FR series of PRO cases except all the hardware used in the build of these slick cases are powder coated and anodized in black. During a performance, simply take the top half off of the turntable case, stack the now open bottom half on top of that, and you have a secure, ready-to-play setup. The Odyssey FR1200BKBLUE and FR1200BKRED cases fits Technics, Numark, and Stanton turntables. Base Interior Height is 3.5"